A fun, illustrated guide on how to improve your telemark skiing skills. 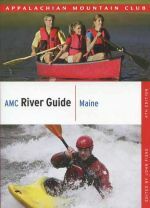 An fun, informative, illustrated guide to backcountry ski travel. One woman's account of a thru-hike of Vermont's famed 270-mile Long Trail. 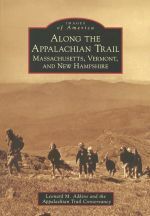 A great new photographic history of the AT as its winds its way up and over peaks in Massachusetts, Vermont and New Hampshire. 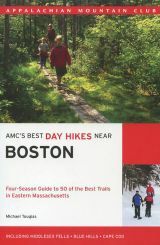 Discover 50 pockets of wilderness bursting with flora and fauna on scenic trails within an hour's drive of Boston in this handy guide from the Appalachian Mountain Club. 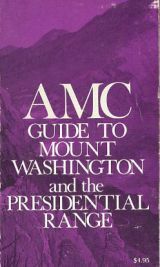 Good used secoind edition copy of this trail guide to New Hampshire's Mount Washington and the Presidential Range peaks. 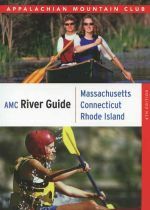 Newly revised and updated second edition of this invaluable guide detailing the critical skills and concepts every professional or volunteer outdoor leader needs to know. 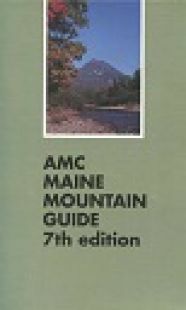 An excellent new guide to hiking and backpacking during the snowy season. 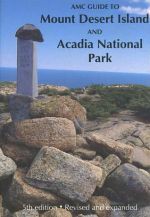 Great new outdoor receation map and trail guide to the rugged Mahoosucs in New Hampshire and Maine. 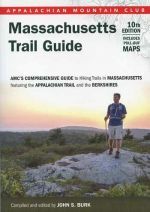 The new updated and revised 10th edition to nearly 400 trails across the Bay State.